Should I use Fillers or…have Surgery? WHEN TO USE FILLERS Fillers are excellent to correct initial gauntness in the face, especially cheeks that are starting to lose volume and become hollow. The right filler restores volume and definition while smoothing out early lines and wrinkles. Fillers work well as long as there is no loose skin. WHEN TO CHOOSE SURGERY Fillers can offer long lasting results, but as with all good things, the time comes when skin loses its elasticity, muscles slip and fillers can’t deal with these things. 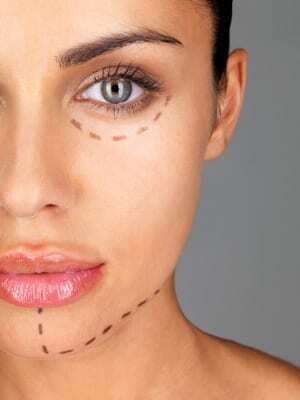 Surgery then is the correct option to deal with loose, sagging skin and relaxed muscles. Nothing replaces good genes which dictate how we age, however, the right surgery performed by a qualified, skilled surgeon can dramatically improve how you age. Times have changed from women arriving at a certain age and undergoing plastic surgery. Now, the new trend in anti aging is men and women are having facial procedures done sooner…at an earlier age to allow for more graceful, aging…naturally. I help men and women keep their best face forward. Let’s talk about your best face.